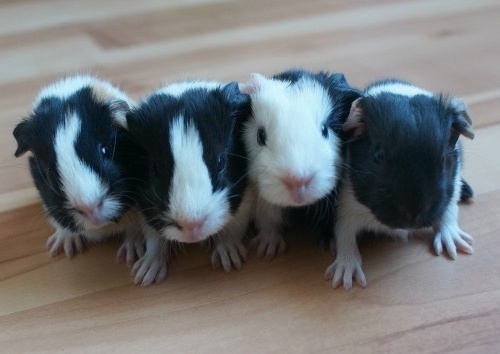 We are an in-home Guinea Pig Rescue in Brooklyn Park, Minnesota. We are the place where piggies can go to find forever homes when their current family can no longer care for them. We are also the place that you can contact if you are looking for a special little pig to add to your family! Hi, I'm looking for two baby, same gender, cute guinea pigs. I was wondering how much they are. Please contact me back. Thank you very much! I have a black and white short hair, named Pepee I have build a 3' x 4' cage and about one foot high with coroplastic blue and a wire cube shelf I used and have many toys a hay rack. I also made home made treats.